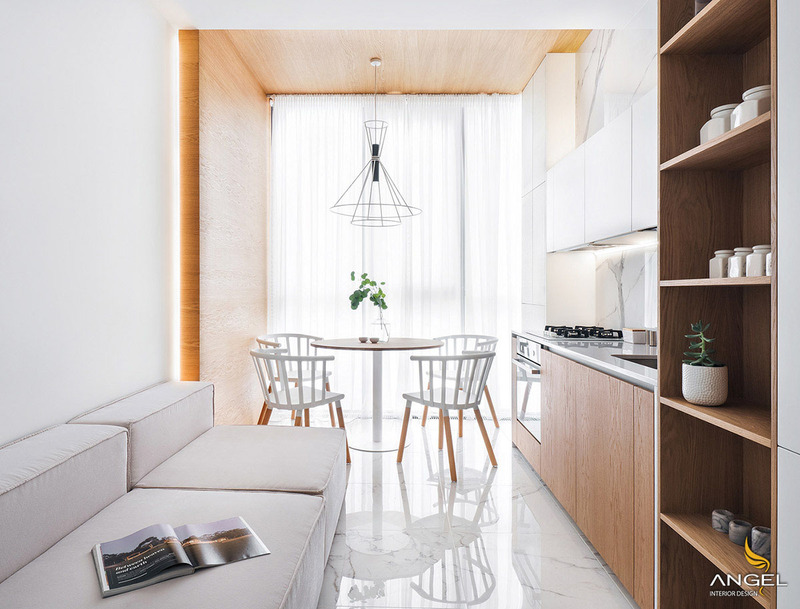 A space-saving interior design for a small flat of only 65m2. The apartment owns a narrow living room, but must have a desk when receiving guests. A separate kitchen and dining area complete with a separate sofa in the living room. 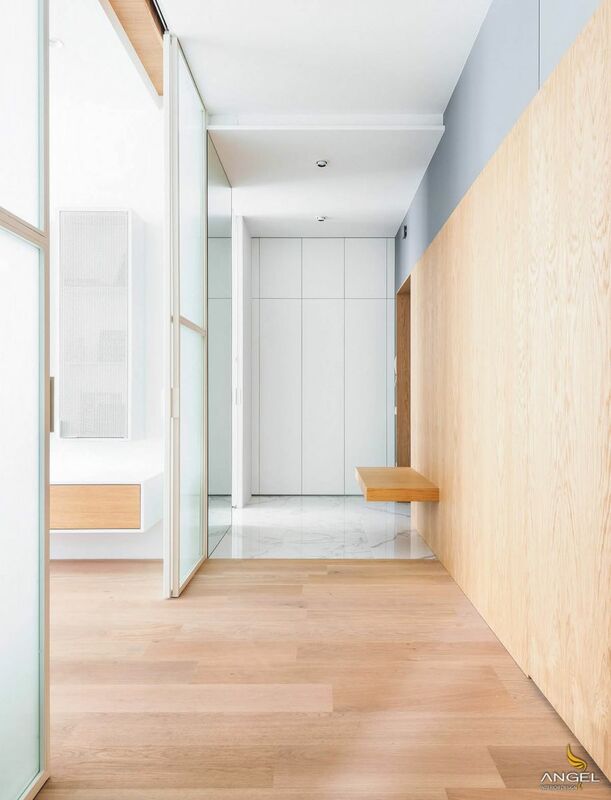 Although the house looked very cramped, everything became cooler thanks to the interior design ideas and the extremely reasonable decoration of the architects. 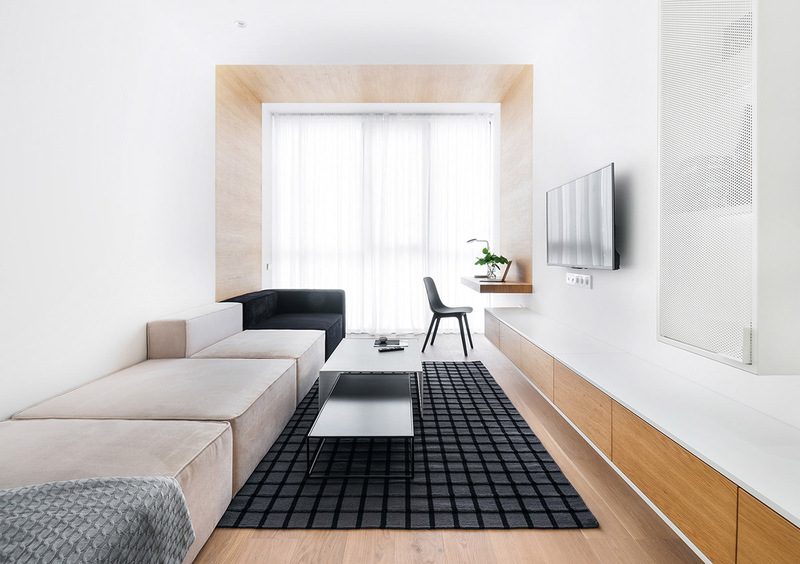 A minimalist living room design makes this space feel cool and less stuffy. The room colors used are the neutral colors from beige to black. 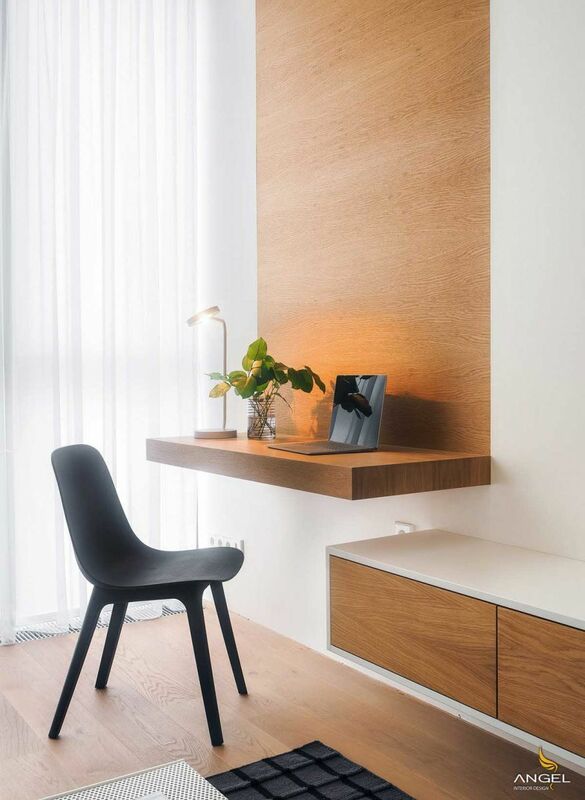 Next to the desk, a floating unit runs the length of the living room. Wall hangers can be used to store office supplies with small desks and multimedia items beneath a flat-screen TV. Modern coffee tables have remote TV controls and some reading light materials are within reach of the sofa. Tea table made of perforated sheet metal and powder coated with white will be a great highlight for your living room. 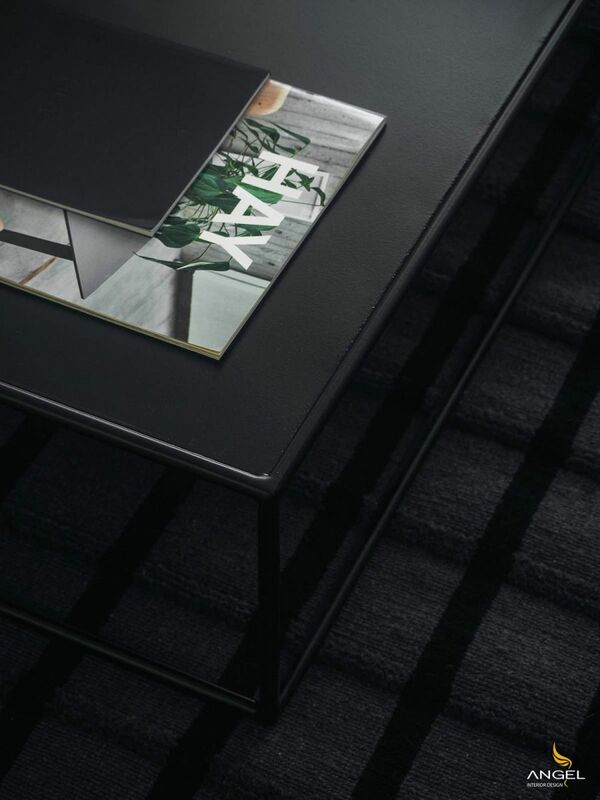 The black carpet will help highlight your tea table more prominently. Next to the living room, the kitchen occupies the same space as the living room. Kitchen cabinets and kitchens fit snugly against the dining table so you do not get stuck opening the cabinet. 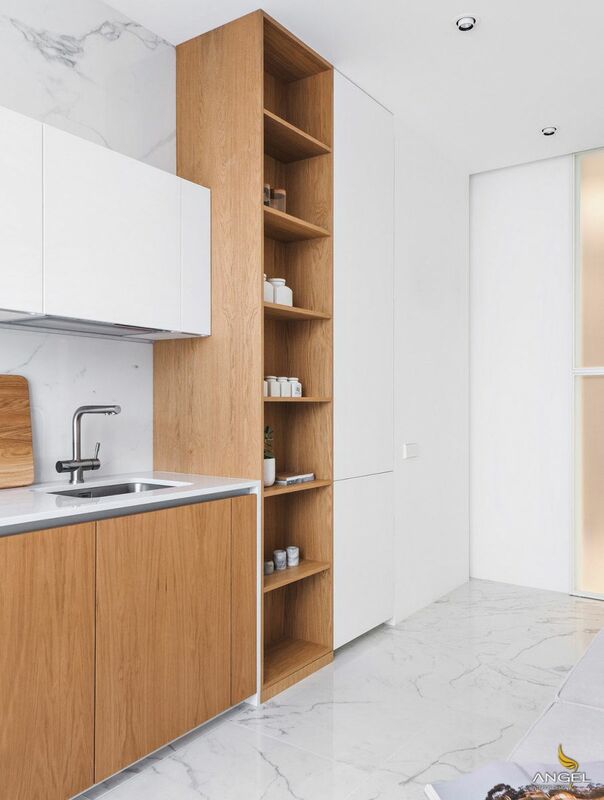 White ovens and hobs are fitted with light work desks and marble floors. 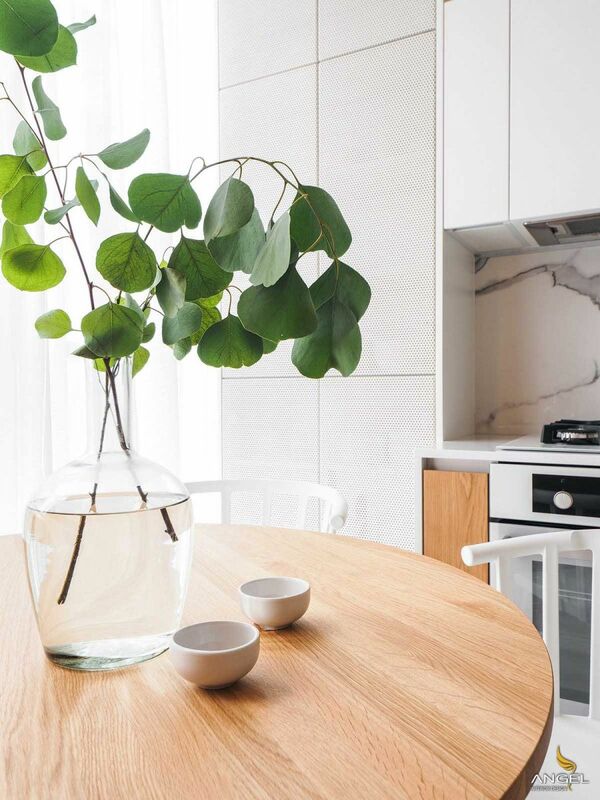 The combination of wood and white is one of the Scandinavian designs. 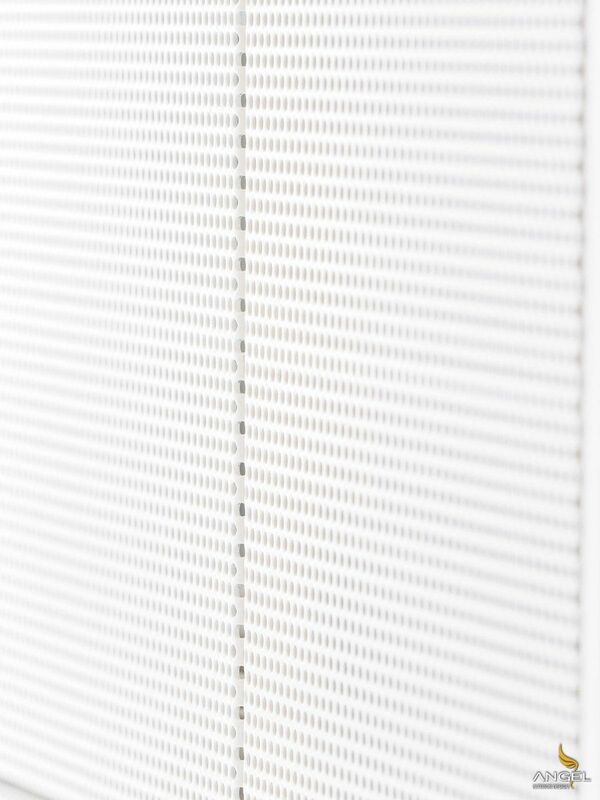 Some cabinet doors have the same white perforated metal finish used for the living room coffee table. 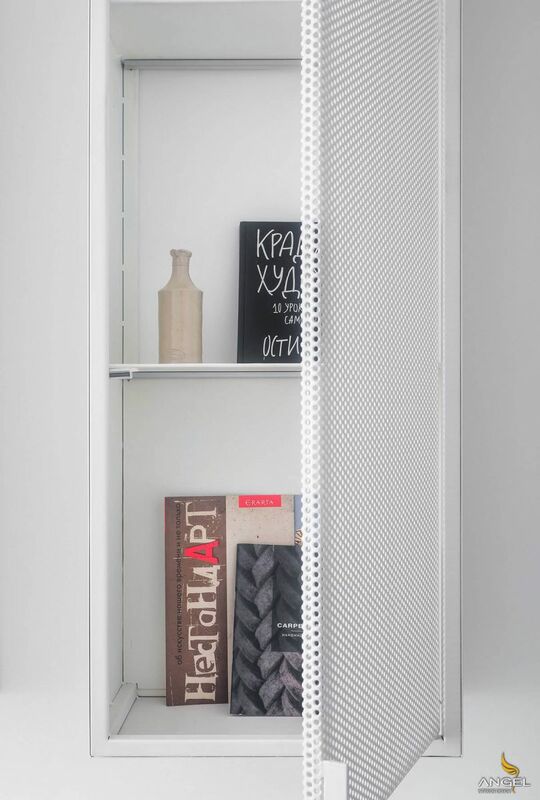 The perforated sheet metal door allows items to be seen partially through, without revealing too much of the kitchen mess. 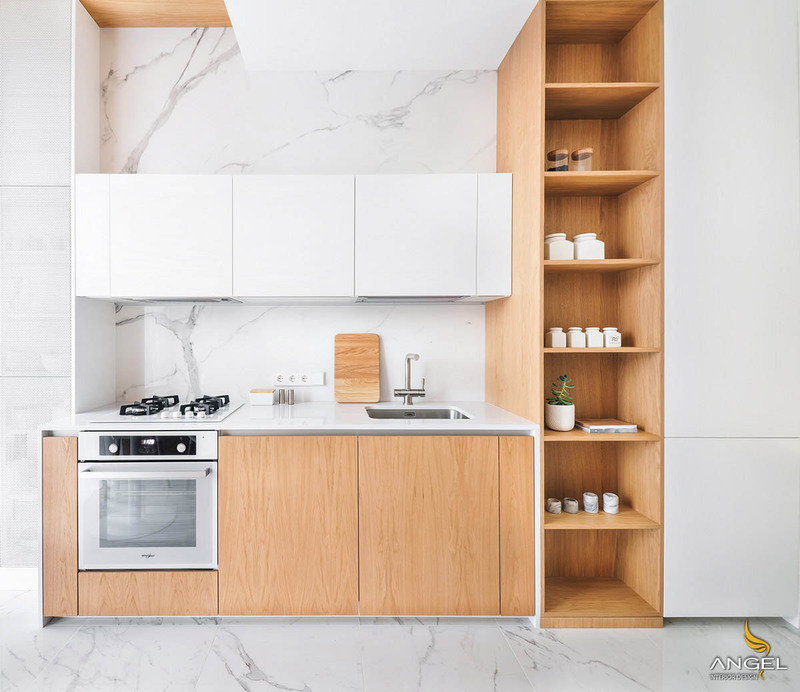 The marble walls extend the full height and length of a wall kitchen. There are not many seats in the small kitchen, but an open tower allows frequent items to be stored and close to hand for use. 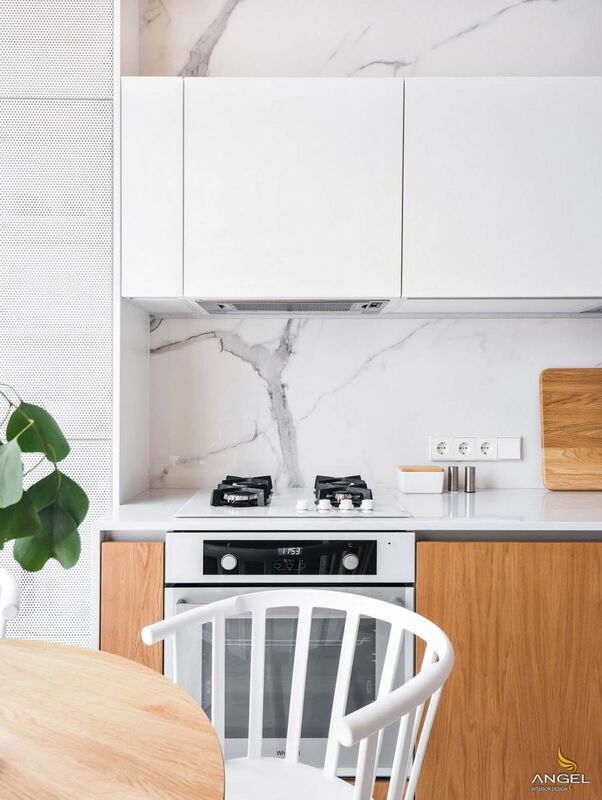 The white theme and the wood look fresh and warm at the same time. 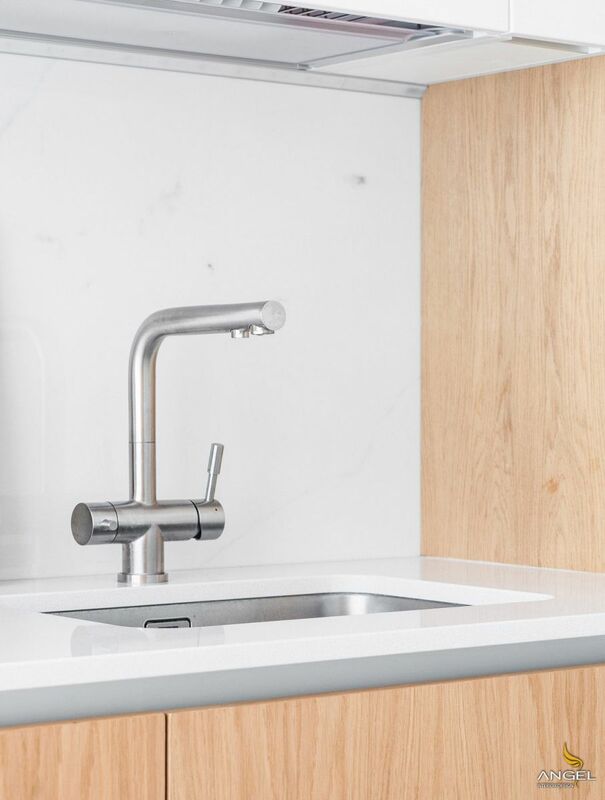 A stainless steel faucet matched with a sink increases the life of the kitchen. Sliding glass doors open at the end of the living room and kitchen in the corridor, creating a free living space. The corridor is a spacious area with décor synonymous with other rooms.